Yes, speaking is an art form. When we speak we have the power to influence, motivate, inspire, assist, comfort, and encourage. We also through our words and tone, can harm, upset, bully, aggravate, and frighten. 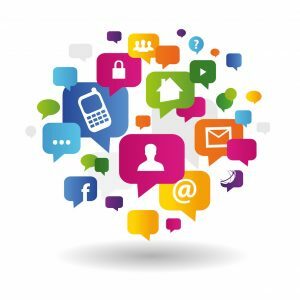 Remember too that the Art of Communication relates to all forms – phone, twitter, facebook, instagram, emails, texts, all messaging vehicles. They all reflect your voice. We can decide how we want to speak to ourselves and to others. Have what you say be in alignment with who you are. I read an article earlier today which reminded me of how to best communicate. It discussed the Buddhist principles of Right Speech. The four elements of right speech means you use words that are true, balanced, necessary, and kind. Does that mean you never argue, never be loud, never be critical? I personally do not think so. Based on the situation, you may have to raise your voice and speak in a more direct, harsher tone than usual. However what is important is your intention. You are doing so to “get through” to the other person. Not to harm them – but to break through the resistance they have to truly hear you. Do what is appropriate for the other party. I make a practice of being careful with my words and my communications. Yes – it is a practice. I want always to be truthful, balanced, communicate what is necessary, and always be kind in my delivery. Do I succeed 100% of the time? No, I do not. Sometimes I am multitasking and in a rush and could come across as uninterested, short, and not as sensitive as I would like. So I continue to practice, wanting my words to convey Love, Light, Encouragement, Motivation and Inspiration. That is my voice. That is my intention. That is my purpose. May you find yours and may you develop your Art of Communication. ← Do What you Love! consistent, while the mind sometimes moves in many mysterious ways. Now this one I should read first thing in the morning and then go out into the world with it. There’s a possibility you could change your life.